The Indian rupee opened lower against the dollar after the government named former economic affairs secretary Shaktikanta Das as the new central bank governor following Urjit Patel’s surprise resignation. The rupee opened at 72.20 versus its previous close of 71.85. 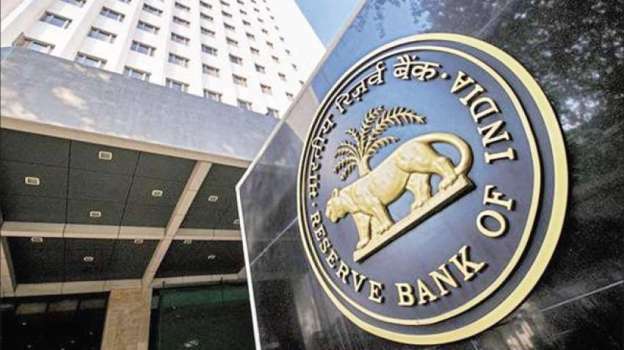 The key question will be how the currency and bond markets perceive the new appointment in terms of the upholding the independence of the Reserve Bank of India and maintaining the existing policy framework. The rupee “will bear the brunt” of investors’ ire if the market perceives that the new governor is “catering to the moods” of the government. The government said after markets closed yesterday that the Appointments Committee of the Cabinet had approved Das as the RBI head for a three-year term. Das is currently a member of the 15th Finance Commission - a constitutional body - and has served as the economic affairs secretary. He was also instrumental in designing federal budgets as a senior bureaucrat. We expect USD/INR to trade in a range between 71.90 - 72.30 today. What a day for Indian markets! If ignored the exit of Dr. Urjit Patel as the governor of RBI as a setback for BJP in the three Hindi speaking heartland states namely Chhattisgarh, MP, and Rajasthan. The Sensex is up by 127.83 points or 0.36% at 35277.84, while the Nifty is up 34.75 points or 033% at 10583.95. Asian markets are higher today as Japanese and Hong Kong shares show gains. The Nikkei 225 is up 1.88% while the Hang Seng is up 1.36%. The Shanghai Composite is trading up by 0.15%. Australian ASX 200 is up by 50 points or 0.91%. European markets closed sharply higher today with shares in Germany leading the region. The DAX is up 1.49% while France's CAC 40 is up 1.35% and London's FTSE 100 is up 1.27%. The S&P 500 and Dow ended a volatile session down slightly on Tuesday as investor optimism over China-U.S. trade talks was offset by U.S. President Donald Trump's threat to shut down the U.S. government and by political uncertainty in Britain. Meanwhile, most regional currencies were trading higher against the dollar on Wednesday on hopes of easing U.S.-China trade tensions. China had agreed to cut tariffs on U.S.-built cars and auto parts, a Donald Trump administration official said Tuesday, setting the stage for new talks between the two nations, Reuters reported. The official remarked that China's plan was communicated during a phone call between Chinese Vice Premier Liu He, U.S. Trade Representative Robert Lighthizer and Treasury Secretary Steven Mnuchin on Tuesday morning Beijing time. Chinese yuan climbed 0.2% to 6.8820 against the dollar and the South Korean won rose by 0.3%. Hong Kong, Japan, and South Korea paced advanced in regional equities and U.S. equity index futures rose about 0.8%. Dollar index little changed at 97.36 after edging 0.2% higher in previous session. *Ten-year US yield at 2.89%. Brent crude oil contract 0.8% higher at $60.72.